Derek Jeter is not used to losing. In his 20 seasons as the New York Yankees shortstop, the future Hall of Famer's club only missed the postseason three times, while winning five World Series titles. So, when Jeter became a part owner of the Miami Marlins and shipped out an abundance of proven talent to jump-start a rebuild, it created the question of how long would he be willing to lose before demanding success from his team? Apparently, that answer is one year. Jeter recently stated that he has "zero patience" in regards to Miami being competitive. ​​fI Jeter is so determined to win now, then why did he trade away a fantastic core of Giancarlo Stanton, Christian Yelich and J.T. Realmuto? Jeter's comments are confusing because he inherited a team that was seemingly just a few quality players away from contention, but he decided to blow it up instead. It is possible Jeter's comments are meant simply to motivate his team, and he truly believes in the rebuilding plan that he has thus far executed. But, his comments suggest that he may be willing to forgo the rebuilding plan in an attempt to contend now. This back-and-forth should be worrisome to Marlins fans, as a team that does not stick to a long-term strategy is destined for mediocracy. 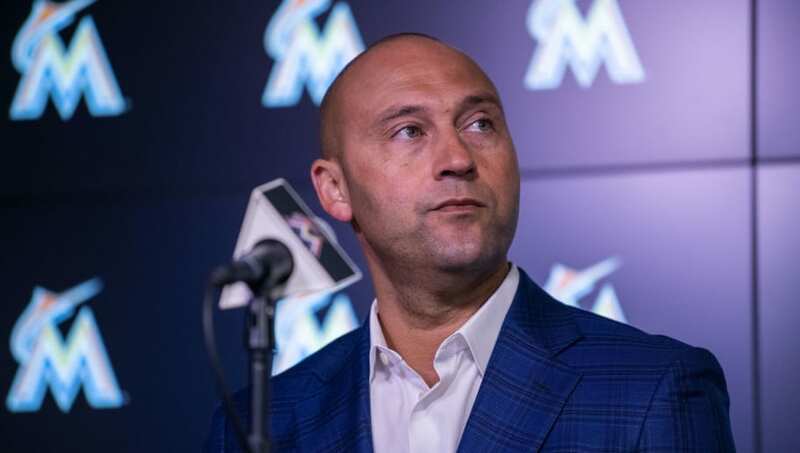 In addition to addressing the state of play, Jeter also focused on how the Marlins will work to better connect with the fan base. While the Marlins can bring a bunch of different amenities to the ballpark, the best way to reignite the Marlins fanbase is to win. Jeter's comments are perplexing. They contradict everything that he has done as an executive. Hopefully, for Miami fans, Jeter will overcome the pressure to sell-out on the rebuilding plan and continue to set the Marlins up well for the future.